This Elite Core metal floor box is pre-loaded with 4 female XLR connectors, 2 XLR male connectors, 1 Neutrik Ethercon RJ45 female connector and 1 HDMI jack. 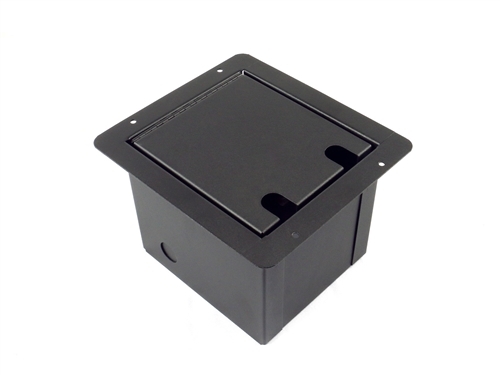 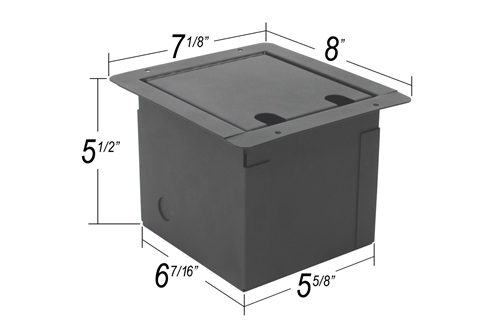 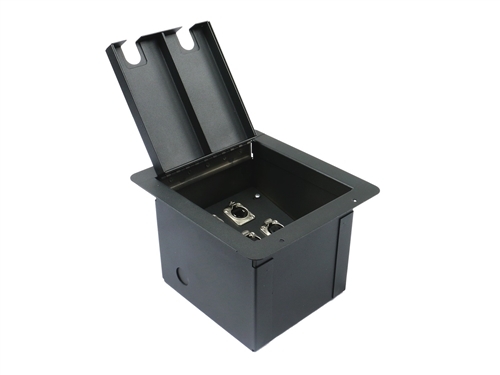 The metal floor boxes are constructed from heavy-duty steel and features a hinged door with cable grooves. 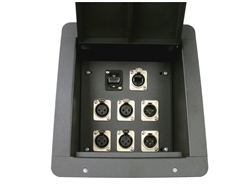 The plugs are mounted using phillips head screws instead of rivets for easy access to the back side of the connector even after installation making them easy to service in the field.